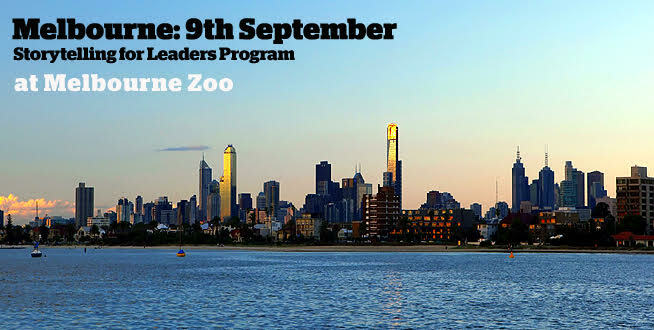 Anecdote is holding a public Storytelling for Leaders program on September the 9th in Melbourne, at our zoo. We love wild animals. You see them throughout our materials, so we thought it would be fun, and quite fitting, to hold our hometown program surrounded by our exotic friends. The great thing about the Storytelling for Leaders program is not just the content, but its ability to make a huge difference to your business. The workshop is interactive (that’s the only way to build storytelling skills), and uses a variety of techniques to demonstrate the power of storytelling in business. It equips you with the necessary skills to apply the learning to your everyday business lives. The Rainforest Room, where the workshop will be held, is spacious and filled with lots of natural light. But the best part is that it overlooks an enclosure that is home to six playful Tamarin monkeys, and an award-winning Japanese garden. Click here to learn more about our exciting program. Lucy helps Anecdote tell our story to the world, through marketing and social media. She also supports our global Partner network in their quest to bring storytelling into business.